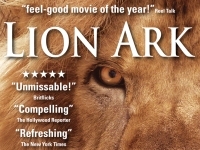 Multi-award winning Lion Ark is more action adventure than traditional documentary, up close and personal, in the thick of the action. Following a shocking exposé Bolivia bans animal circuses. Circuses defy the law but are tracked down, animals saved and a joyous finale sees 25 lions airlifted to freedom. A story of bravery, compassion, a country that said ‘no’ to cruelty and how attitudes to animals changed across a continent. DVD bonus features: Deleted scenes including more animals being rescued in Bolivia; theatrical trailer; rescues in Peru & Colombia; tribute to Dr Mel Richardson. A great, uplifting and inspiring Christmas present.